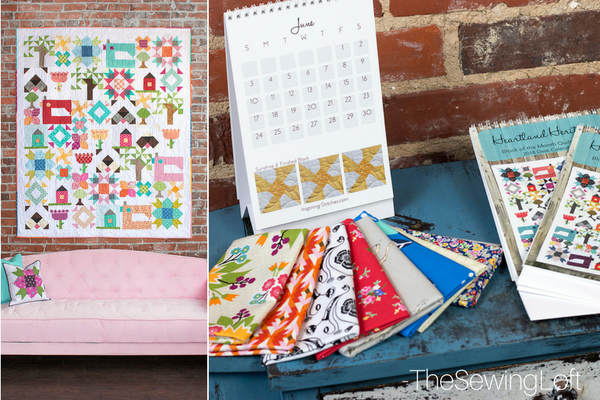 Earlier this year I started a new project with my friend Amy Ellis called Inspiring Stitches. 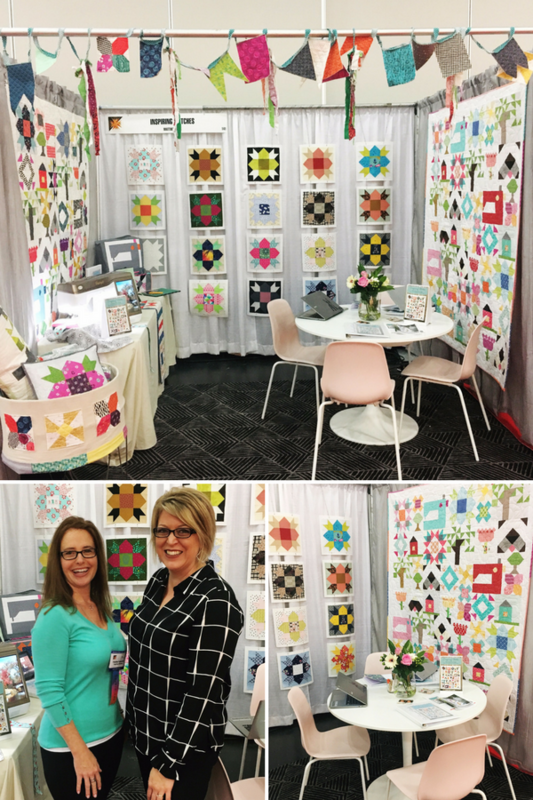 This little journey of ours has taken us to some pretty amazing places including International Quilt Market in Houston last week. 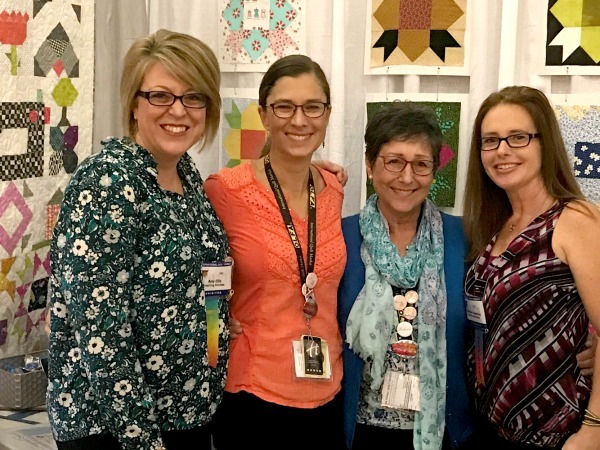 Now, Quilt market might be over but the Inspiring Stitches Quilt Market adventures have just begun. While this is not my first time at Quilt Market, it was my first time ever owning my own booth. This was very different from every other market I have ever been it. From set up to tear down, there was much to manage but the best part was meeting with shop owners everyday. Seeing their reaction to our design and learning about their shops only got me more excited. Since I did not really get a chance to walk the floor and see all the eye candy others have in store for us, I thought it would be fun to do a quick giveaway to celebrate Inspiring Stitches Quilt Market Adventures. Be sure to check out the latest happenings on Instagram and look for our Heartland Heritage calendar in your local quilt shop. Can’t wait to visit your shop? You can order a copy of Heartland Heritage here.